The main bell tower of the Paderborn Cathedral. 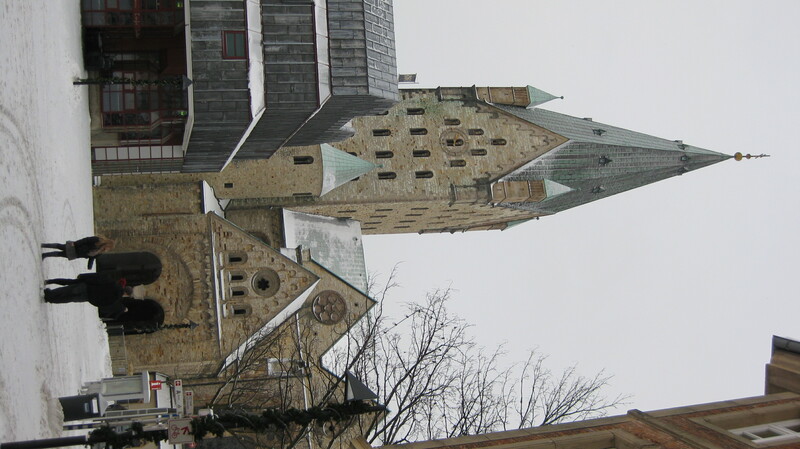 This morning I trudged through the falling snow for over half an hour to attend mass at one of the major landmarks of Paderborn, Germany, the Cathedral (Dom). It was like a pilgrimage of sorts. As you approach the cathedral, you see the bell tower looming in the distance, and when the bells ring on the quarter hour, you definitely hear it, too! Once inside, the church was still decorated for Christmas. 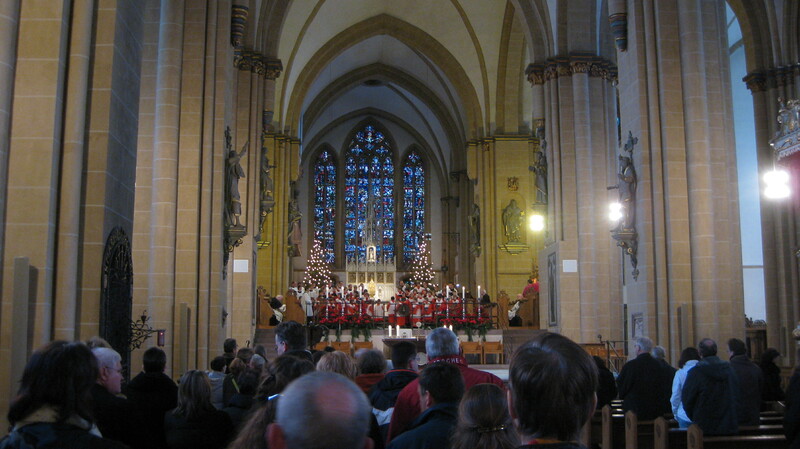 I am told that it is a tradition in Germany to display Christmas trees and nativity scenes in churches until the end of January. I’ve been to masses in German in Vienna before, but this one mixed German for the readings with Latin for the responses. Listening to the full choir perform chant selections and Orlando di Lasso’s Missa Octavi Toni for the mass responses (Gloria, Credo, etc.) along with a brilliant organist was truly inspiring. The church was warmer than I thought it would be, but the large number of people in attendance all wore coats (and hats, too). The view from the pew. (Click photo for larger image) Don't worry, I took the photo after mass was over, and didn't use flash.